Published by Mountainblog on 01/31/2019 . 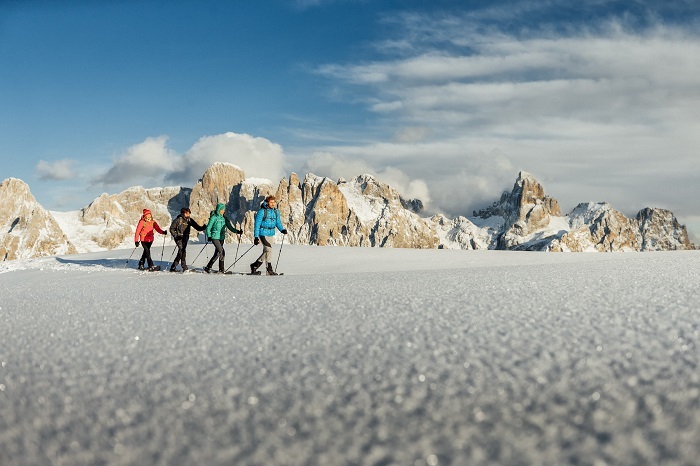 The beautiful and enchanting scenery of the Pale di San Martino, the charm of the villages at the bottom of the Dolomites and the surrounding unspoilt nature offer you much more than the usual ski holiday. 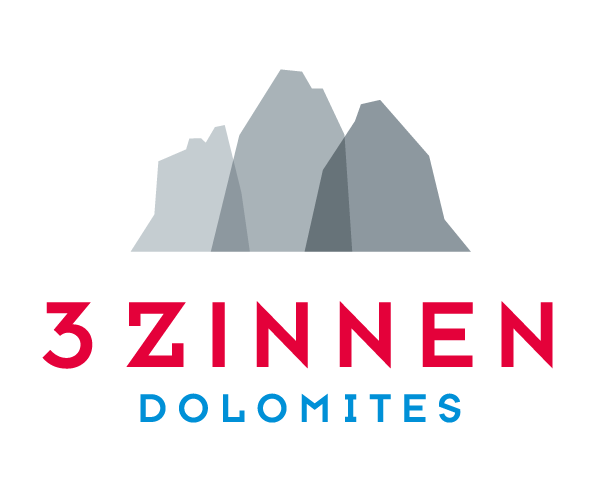 Oltre lo sci is a rich weekly programme that gives you the chance to discover and experience the territory of San Martino di Castrozza, Passo Rolle, Primiero and Vanoi in a different way. Not just skiing but also guided walks, snowshoes excursions, tasting of typical local products, historic and artistic tours, fascinating explorations and outdoor adventures. Our mountain guides will make you discover the pleasure of excursions on snowshoes in the most beautiful areas of the territory. You can also choose to take part in the snow safety course, in which you will learn how to tackle winter activities safely. Otherwise, if you want to live an unforgettable night, seize the opportunity of having an aperitif by snowmobile in San Martino, under a magnificent starry sky, tasting our local products, try snowshoeing at night at Passo Cereda or book your dinner in a special location that is to be reached by snowmobile. A special care is given to families and children activities. Have a ride on the Troika (a sleigh driven by horses) or spend a morning taking part in an exciting avalanche rescue drill with the dog-handling team of the Guardia di Finanza. In the Vanoi valley meet the friendly llamas for a relaxing and pleasant walk on snowy paths, while, in San Martino, watch an acrobatic ski-snowboard show followed by a mini torchlight procession with the ski instructors. Children of all ages can benefit of our well-equipped areas for bobsleds, sledges and inflatables. In addition, children from the age of three onwards can have fun on the snow with a team of entertainers. Cheese making is considered a kind of vocation in the Primiero and Vanoi valleys. For this reason, the “Caseificio di Primiero” (Primiero Cheese Factory) offers guided tours to discover the secrets of the cheese makers whose skilled hands produce cheeses such as Toséla, Trentingrana and Botìro di Malga. During one of our mountain-style aperitif on the ski slopes, the so-called Happycheese, you have the opportunity of taste tempting delicacies and finger food made from Primiero cheese, accompanied by the renowned Trentino wines and the local craft beers BioNoc’ of the namesake brewery, which offers guided tours too. Finally, those who are seeking a more adventurous holiday can choose between winter mountain-bike excursions along the winter cycling routes, an exciting paragliding experience over the ski slopes, ice climbing with a mountain guide or the Pistenbully Tour. Oltre lo sci is an unusual and exciting way to experience the atmosphere of the mountain villages and the environment of the Natural Park Paneveggio – Pale di San Martino in the quiet of the winter season. Have a look at the complete programme here. INFO: San Martino di Castrozza, Passo Rolle, Primero e Vanoi. OUTDOOR STARS are places where the outdoor sports you love are all available in the most beautiful settings you could wish for to take a day trip, spend a weekend, or even better, a week’s holiday. From winter ski slopes to summer trekking, from free riding and snowboarding in fresh snow to mountain biking and canyoning: you’ll never be bored and the awesome beauty of nature will amaze you. A unique environment for your outdoor activities also offers hotels, transport and services, territory and tradition and real people to share your adventures and relaxing moments with. 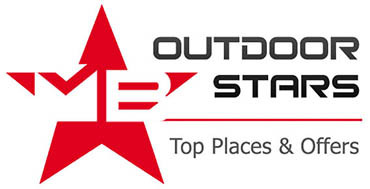 Choose your OUTDOOR STARS from the opportunities MountainBlog has selected for you, in the mountains and elsewhere!